With a life dedicated to cars and motorsport, Mr. Luigi Chinetti remains one of the most important figures in automotive and racing history. He was a mechanic, racer, salesman and importer. 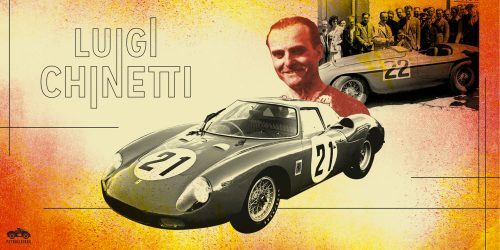 He was the man who persuaded Mr. Enzo Ferrari, that if he built truly distinctive sports cars, wealthy Americans would buy them. Luigi was born in Jerago con Orago in the north of Milan, Italy on July 17, 1901. The son of a gunsmith, he demonstrated mechanical aptitude at a young age and in 1917 at the age of sixteen, began working for Alfa Romeo as a mechanic, eventually moving to Alfa’s competition department where he would meet Enzo. The rise of fascism in Italy prompted a move to Paris where he remained working for Alfa Romeo as a car salesman while simultaneously becoming a racer. Driving an Alfa 8C 2300 entered by his co-driver Mr. Raymond Sommer, Luigi won in his very first outing at the 24 hours of Le Mans race in 1932. The following year, with Mr. Louis Chiron as co-driver, he won the Spa 24 Hours endurance race in Belgium and teamed up with Mr. Philippe Étancelin in 1934 to win his second victory at Le Mans, anecdotally plugging a leaky fuel tank with chewing gum. 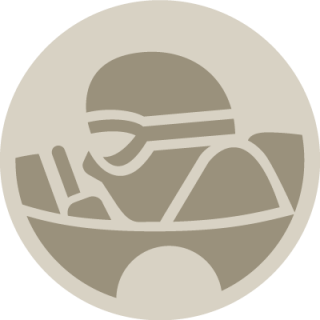 Following the outbreak of World War II in Europe, Luigi initially went to the United States with Mr. Rene Dreyfus for the 1940 Indy 500. He wound up remaining in the U.S. during the war, working for the Italian dealer, importer, and master mechanic, Mr. Alfred Momo and became an American citizen in 1946. 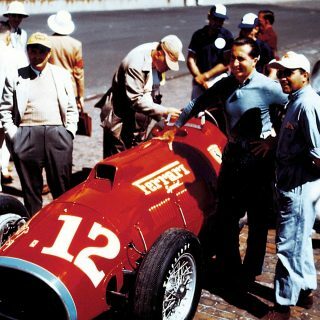 Towards the end of 1946, he met with Enzo in Modena and proposed that he become Ferrari’s point man in America, a deal that would soon come to fruition. Ferrari couldn’t have picked a better representative as Luigi’s talents were many, as demonstrated in 1948 when he sold the very first 166 Barchetta from off the Turin Auto Show stand to Southern California radio executive Tommy Lee. After a long hiatus during the war, racing resumed in Europe and Luigi once again entered the competitions, including the 1949 24 Hours of Le Mans, where he drove the first Ferrari to ever win the event, setting a record as the only three-time winner of the race, at the time. The Ferrari 166M in which he won was turned over to Baron Selsdon of Scotland (Peter Mitchell-Thomson) for only twenty minutes during the race, making the Baron the official co-driver although Luigi drove over twenty-three hours of the race. That same year he won his second Spa 24 Hours, this time driving for Ferrari with Frenchman, Mr. Jean Lucas. The first sale Luigi made through his American dealership was a Ferrari sold to Mr. Briggs Cunningham for racing. That first automobile Luigi sold eventually went into the famous personal automobile collection that Briggs exhibited publicly when he founded his museum, but most of Luigi’s sales were kept as close secrets to protect his wealthy clients’ privacy. In 1956, Luigi formed the N.A.R.T. 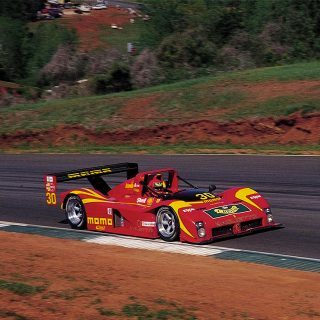 (North American Racing Team) with backing from wealthy racers Mr. George Arents and Mr. Jan de Vroom. His close relationship with Ferrari ensured a consistent string of competitive cars. It became the team that established Ferrari’s high ranking on American racing circuits. 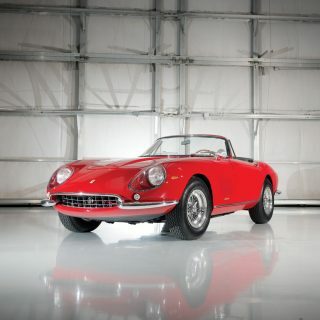 In addition to the racing cars, the team commissioned many limited-run special variants of Ferrari road cars, most notably, the spyder version of the Ferrari 275GTB/4. 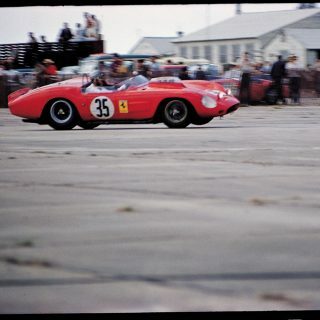 Through the 1960s, NART competed in the world’s top races, often winning at venues such as the 24 Hours of Daytona in Florida and in 1965, NART’s 250 LM became the last Ferrari to win at Le Mans (to this day). 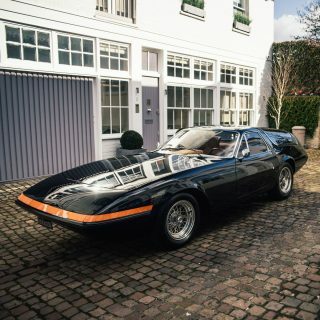 In 1977, Luigi sold his Greenwich dealership, ending his role as a Ferrari dealer. 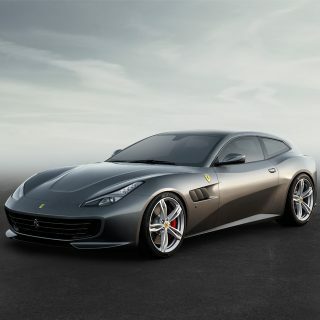 By then, the United States market, the largest national market for Ferrari sales, was firmly established. Luigi remained in Greenwich, Connecticut after his retirement and died on August 17, 1994 at the age of 93.